If you know, you know. 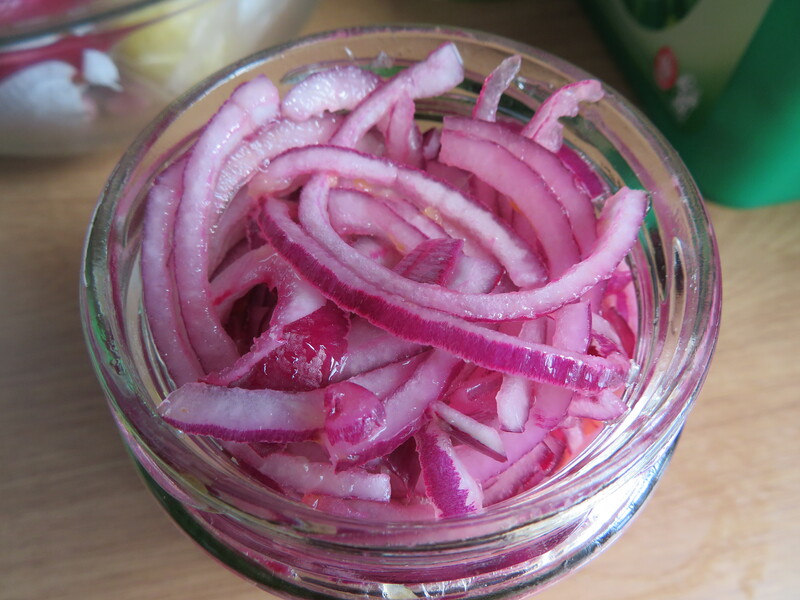 Pink pickled onions rock and pretty much go with everything if you fancy them. They are crunchy, acidic and a beautiful pink so easily a winner with impressing friends or adding a little pink to your meal. This recipe was inspired by one of Thomasina Mier’s Wahaca cookbooks – Mexican Food Made Simple which has loads of goodies and I would highly recommend for anyone that likes proper Mexican food. 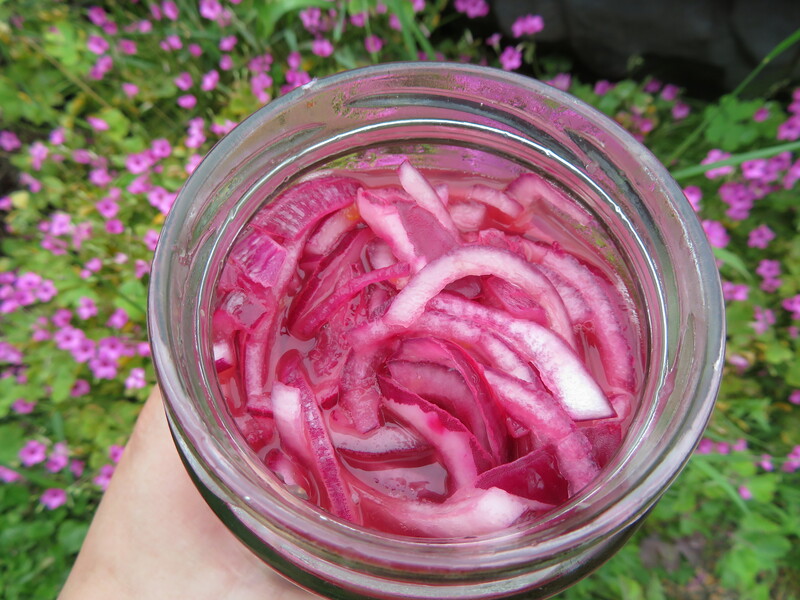 I have made the pink onions quite often ever since I first made them out of my friend’s cookbook, mostly by memory and I have written my simple recipe below for you to give a go. I also included a quick recipe when I posted one of my favourite dishes of pulled pork with pink pickled onions and sweet potatoes if you want to try a new meal. I have added the optional ingredients below there if you fancy, but you can have just as good pink pickled onions without them if you’re feeling lazy! 1. 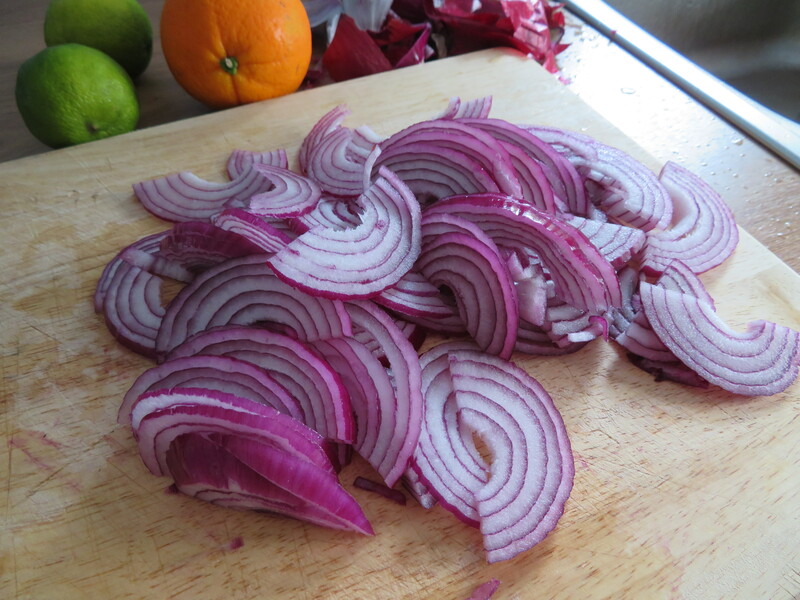 Cut the red onions in half and peel. Thinly slice them so they are crescents and place in a jar, layering with small pinches of salt as you go. 2. Juice the limes and the orange and pour over the onions. Add the coriander and/or chillis now if you want. Mix to coat and push the onions down gently then give the jar a good shake to help mix everything together and for the onions to separate. 4. Place in the fridge for at least a couple of hours and you will see they start to turn a lovely pink! 5. Serve with on top of tacos, in burritos,with pulled pork, on scrambled eggs for breakfast, on toast with avocado and feta, in a grilled cheese sandwich or any sandwich… the list goes on! I hope you enjoy them, what do you like to eat them with?